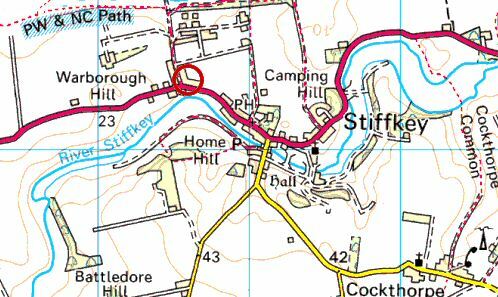 Stiffkey was originally pronounced Stewkey and still is by some locals. 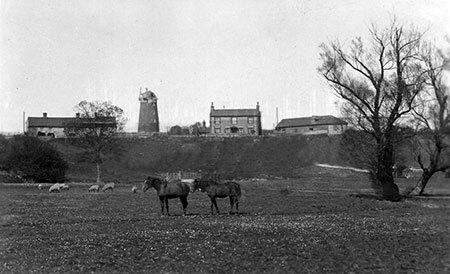 Stiffkey towermill was built in 1836 for Felix Frankling according to a datestone set over one of the two doors in the base of the tower: F.&S. F. 1836. 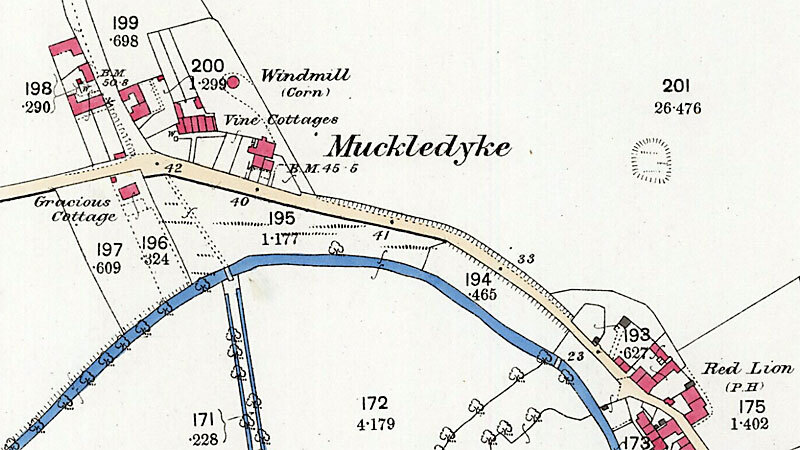 The new 5 storey red brick mill at Muckledyke was built on the site of an earlier mill that was almost certainly a postmill. 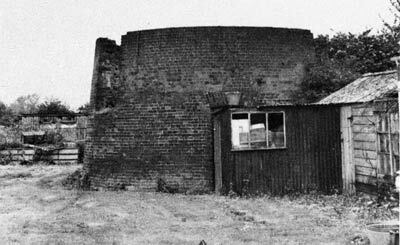 The mill had a boat shaped cap, patent sails and a fantail, that between them drove 2 pairs of 4 foot stones. An old established Baking Office at STIFFKEY, 4 miles from each of the Ports of Wells and Blakeney. A Hill where a windmill has stood many years about 100 yards from the Office may be had if required. Enquire of Mr. John Allen, Stiffkey. All persons having any claims or demands upon the Estate and Effects of Felix Frankling, late of Stiffkey, County of Norfolk, Miller and Baker, deceased, are requested to send the particulars thereof to me in order the same may be examined and discharged and all persons who stood indebted to the said Felix Franking at the time of his death are requested to pay the amount of their respective debts to me forthwith. To be sold by Public Auction by Mr. HOUGHTON at the Townshend Arms Inn, Stiffkey on Wednesday 25 November at 3 o'clock. By order of the Trustees for Sale under the Will of the late Mr. Felix Frankling, deceased. All that brick built TOWER WINDMILL with patent sails driving two pairs of stones and Flour Mill with tackle and machinery complete. All that WATER CORN-MILL with two pairs of stones, flour mill, tackle and machinery complete. Also Dwelling House, Chapel etc. The above described property is in excellent repair. Apply to Mr. Loynes, Solicitor or the Auctioneer, both of Wells. 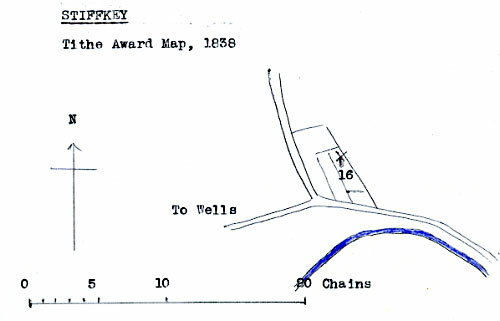 Messrs. Spelman have received instructions from the Executors of the late Mr. Felix Frankling to Sell by Auction on Friday September 18, 1863 at 5 for 6 o'c in the Evening at the Feathers Inn, Holt, in three lots, the following FREEHOLD PROPERTY consisting of the Old Established Water and Wind CORNMILLS, Bake office and DWELLING HOUSE, Garden and Premises in the occupation of Mr. Samuel Frankling. Also several COTTAGES and Gardens all situate at Stiffkey, Norfolk. Particulars in future papers and may be had of Mr. Loynes, Solicitor, Wells and of the Auctioneers at Norwich and Yarmouth. Lot 1. 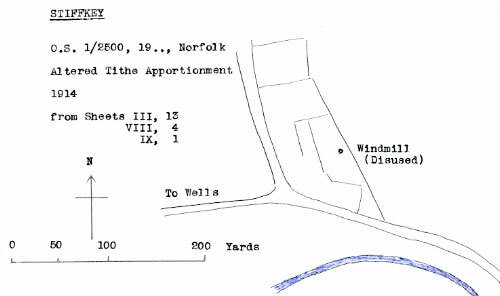 The old established WIND & WATER CORN MILLS with Bake office and Dwelling house attached, Stables, Cart Lodge and Premises situate at Stiffkey, Norfolk in the occupation of Mr. Samuel Frankling. Particulars of Mr. Loynes, Solr. Wells, Norfolk or of the Auctioneers, Norwich and Yarmouth. After Felix Frankling died in 1857 both mills were worked by Samuel Frankling as tenant to Felix Frankling's trustees, who charged Samuel a rent of £80 per annum. Samuel Frankling became insolvent and eventually made a Deed of Assignment to his creditors and paid a first dividend in March 1865.
decided to become an annual tenant. He continued ran the business from 1872 until 1881, during which time the watermill ceased operation. For Sale by Private Contract (with Possession) the excellent WATER_CORN_MILL and Brick Tower WINDMILL, Bake office, Dwelling house, Stabling, Lodges and convenient Outbuildings at Stiffkey, Norfolk. These Premises are Freehold, situate in a fine Corn District and within four miles from the Port of Wells and the Railway Station. A Prosperous Business has been carried on there for upwards of fifty years and the Business is capable of great extension by the addition of Steam Power. To view the Premises apply to the tenant, Mr. Samuel Frankling. For further particulars and to treat for the purchase, apply to Mr. Knights, Earl Derby, Forest Gate, Stratford, or to Messrs. Furley, Callaway & Furley, Solicitors, Canterbury. The old-established WATER & WIND CORN MILLS situate at Stiffkey, Norfolk in the occupation of Mr. Samuel Frankling at the annual rent of £80. The Water Mill has three storeys and two pair of Stones. The Wind Mill is substantially built, winds herself, has four Patent Sails and drives two pairs of Stones. There are an excellent Dwelling House, Cottage, Baking Office with Flour Chamber over, Stables, Waggon Lodge, a Building now used as a Chapel, numerous requisite Premises and a small Pightle of Land next the Mill. The above very desirable Property presents an excellent opportunity for a Miller or Merchant requiring business premises. The Mills are situate in a fine corn district and within 4 miles from the Port of Wells and Railway Station. The Tower Mill stands well for wind; an excellent trade has been carried on for the past 50 years and upwards upon this Property and it is capable of having the trade extended by applying steam power. The Estate is Freehold and Possession will be given, if required, on completion of the purchase. Apply to Messrs. Furley, Callaway & Furley, Solrs. Canterbury, and of the Auctioneers, Norwich and Yarmouth. 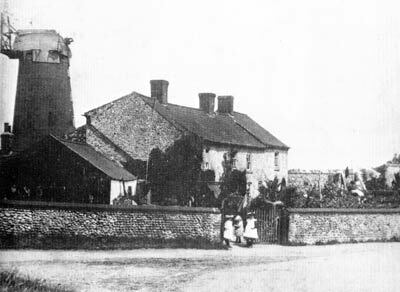 The old-established Water and Wind Corn Mills at Stiffkey, Norfolk, now or late in the occupation of Mr. Frankling. BRICK TOWER WINDMILL and Bake Office with Old Established Business Messrs. Spelman have received instructions to Sell by Auction, without reserve, on Thursday February 22, 1877 at 4 for 5 o'c at the Crown Hotel, Fakenham, Norfolk. 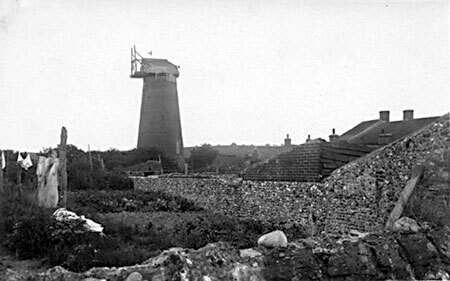 The old Established WINDMILL and BAKE OFFICE at Stiffkey in the occupation of Mr. C. Frankling, a yearly tenant, consisting of the excellent brick Tower Windmill with all machinery and going Gears, Bake Office, two Dwelling Houses and Chapel, Warehouse and Premises in excellent repair. This property is situate in a good Corn District within 4 miles of the Port and Railway Station of Wells and presents an excellent opportunity to a Merchant or Miller. Particulars of Walter Farley, Esq., Solr. Canterbury, and of Messrs. Spelman, Norwich and Yarmouth. The warehouse mentioned in the above sale notice was almost certainly the building that used to contain the watermill. Comprising well erected Windmill, Bake Office with Flour Chamber over, Stable and Harness House with Loft over Waggon Lodge, Wood house and Yard, Piggeries and other premises. WAREHOUSE of three storeys formerly used as a Water_Mill. Adjoining the bake house and fronting the street is a Building now used as a Chapel, but capable of being converted into a cottage. At a short distance from the home premises is the substantially built brick TOWER WIND MILL (five storeys) driving two pairs of 4 ft. stones, flour mill, patent sails, winds herself, with all her machinery and going gears. A small PIGHTLE OF LAND next the mill and a Stone and tiled SHED. The above valuable Freehold Property presents an excellent opportunity for a miller or merchant requiring business premises. The Tower Mill which is situate in a fine corn district and within 4 miles of the port and railway station of Wells, stands well for wind. An excellent trade has been carried on for the past 60 years and upwards upon this property and it is capable of having the trade extended by applying steam power. Possession can be had on the 6th July next. Bake Office, Dwelling House, Cottage, Chapel, small Pightle of Land and Premises now in the occupation of James Whall, Alfred Ringwood and Thomas Sutton. Kelly's 1900: James Robert Wall, Victoria P. H.
Samuel Frankling (20) miller . 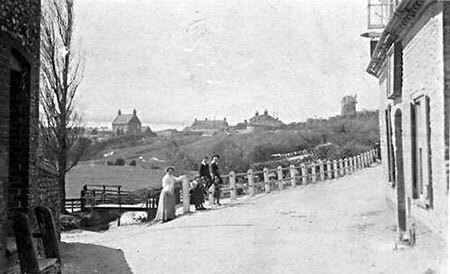 Kelly's 1892: James Robert Wall, miller (wind) & Victoria P. H.
Kelly's 1896: James Robert Wall, miller (wind) & Victoria P. H.